Garrett found out the truth about Santa Claus this year. He’s eight, and apparently the Thing To Do in 3rd grade is spoil the fun for other kids about the man in the big red suit. So, a few months ago he came to me and asked me straight up if Santa was real. And I answered honestly, because I could see in his eyes that he already knew and to lie about it would just delay the inevitable. He took the news in stride, and promised not to tell Caroline the truth once she was old enough to understand. True to form, my sweet boy was thinking of his little sister more than himself when he learned The Big Secret. That means that this year I have an 8 year old who doesn’t believe in Santa anymore and a 14 month old who babbles incoherently and won’t have a clue that the fat man even exists for a long while yet. She is also snatching and grabbing everything in sight and nearly tall enough to reach the fireplace mantel which means there is absolutely no reason for me to go all out with Christmas decorations this year. 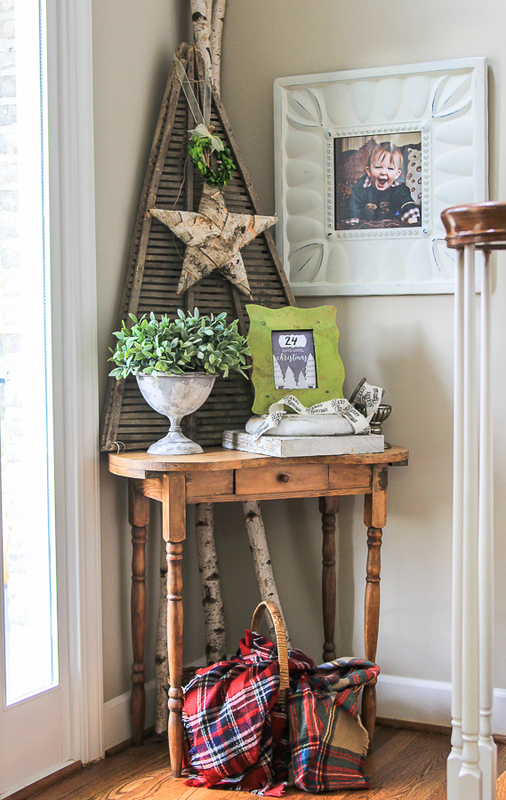 There is a little part of me that is sad to miss all the fun that comes with the blogger home tours. I’ve been a part of Jen Rizzo’s Holiday Housewalk for the past four Christmases now. Christmas decorating is like the SEC Championship for bloggers, and my blog plays in the Iron Bowl every single year, y’all. It’s an annual tradition clean up Thanksgiving dinner and immediately start hours decorating and photographing and stressing out over the big Christmas home tour, but this year? Anything I put up would have to come right back down out of reach of tiny hands, so I’m just opting out on most of the big Christmas home tours this year. I am just saying no. Instead, I’m keeping it simple. And if I’m being honest here? Even though there is a small part of me that is a lil bit sad, the MAJOR part of me is super excited to have a relaxed Christmas season without the craziness of blogging about every little nook and cranny of my holiday home. I mean, I love y’all, but that shizz is stressful! So, with that being said, I will still have a few little Christmas-y type projects on the blog this year. Don’t worry- I’m not totally Scrooging out on y’all. I just won’t be doing the over-the-top full Christmas home tour because my tree and the majority of my decor is going to have to fit behind the Trump toddler wall. 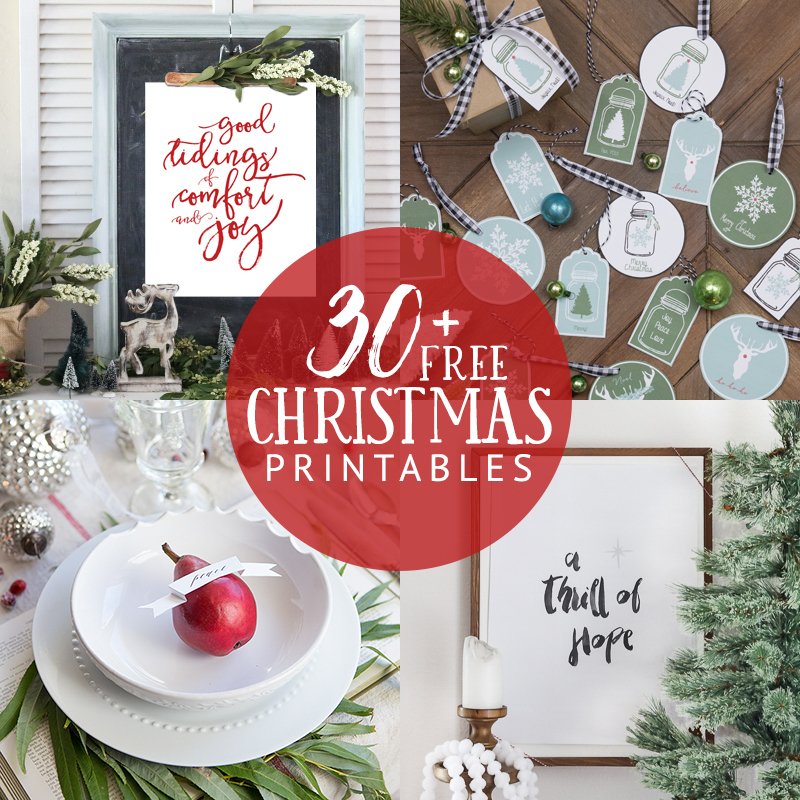 To kick off the season of SIMPLE Christmas decorations, I’m joining my blog buddies for an easy Christmas Printable blog hop! 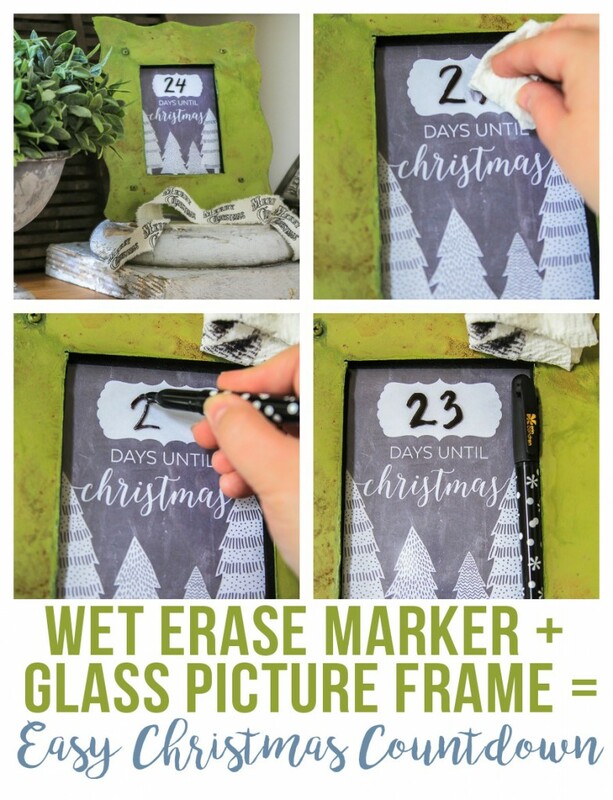 This little countdown printable is super simple if you stick it behind glass in a photo frame and use a wet erase marker to change the date each day! See? 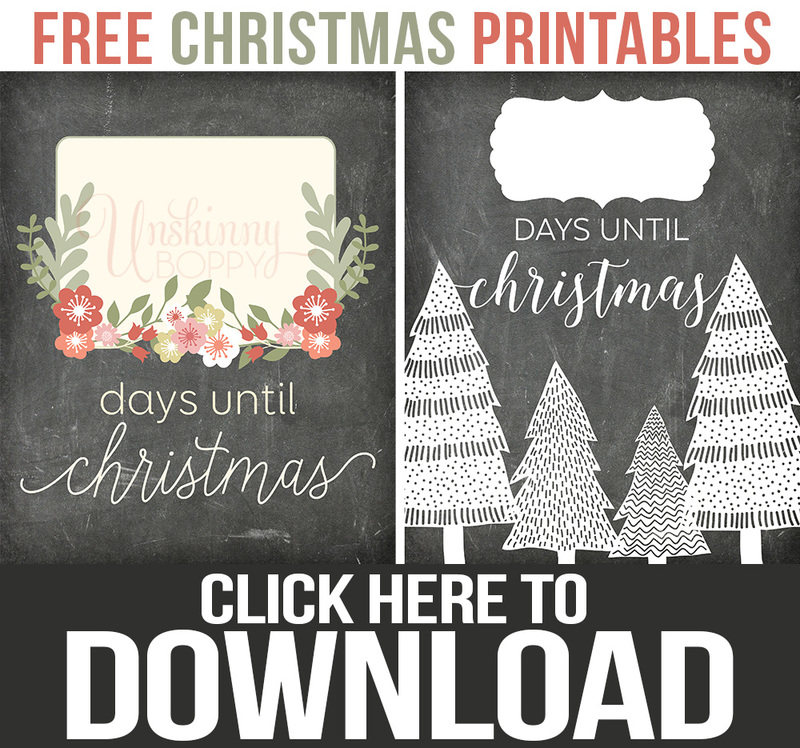 …then you can head over to my friend’s blogs to download all of THEIR holiday printables to your heart’s content! 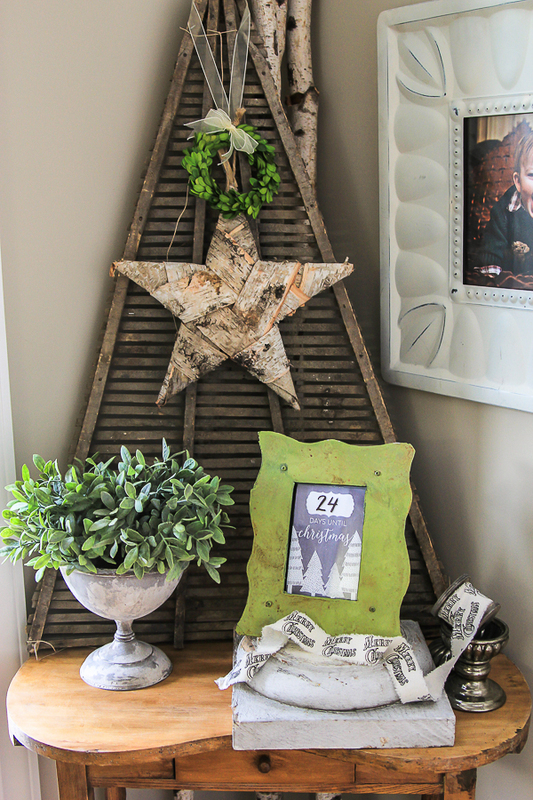 « You’re invited to a DIH Virtual Party! 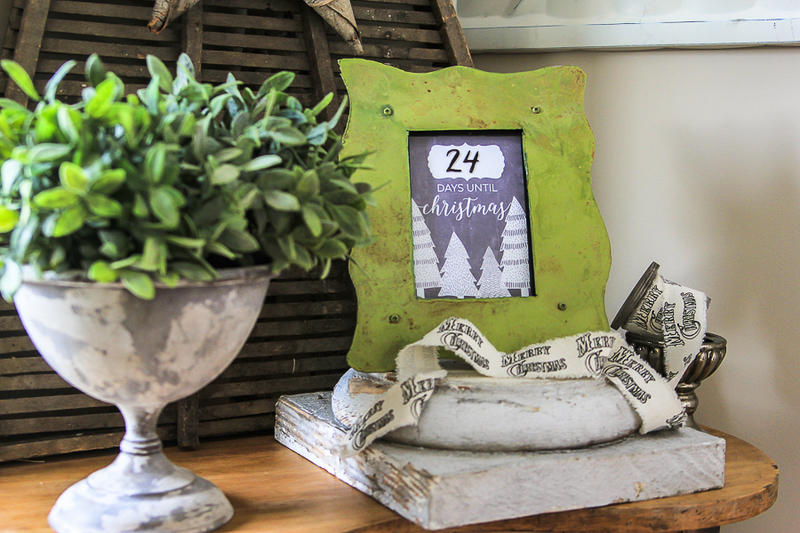 Love the printable and the idea of a simple Christmas. There is something wonderful, refreshing and stress free about it all. Happy Wednesday, Beth! So cute, Beth!! Love it! I love this, so pretty! 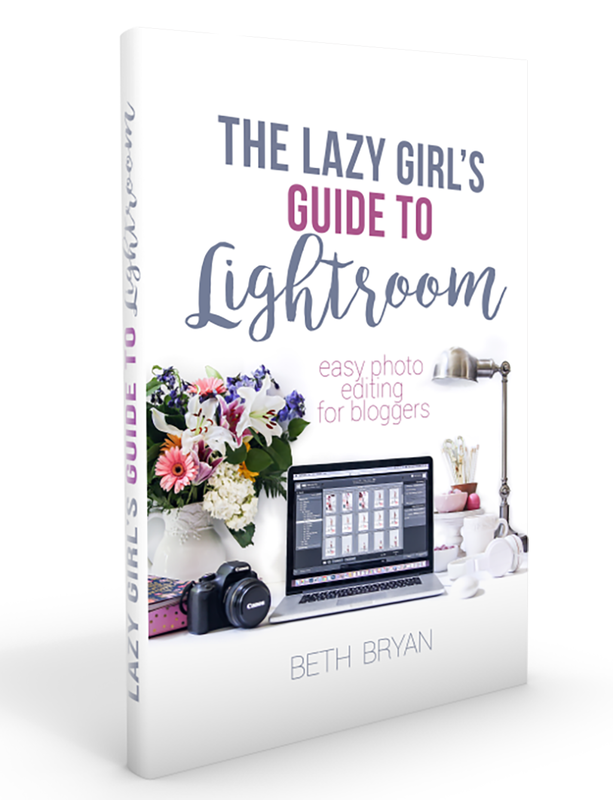 Thanks for sharing your gorgeous printable with us and I’m all about simplicity! You are going to enjoy this Christmas with your little ones. I remember, just getting a shower in was a great achievement. But, I love your project and you are correct it is the little things that matter. Such a sweet story and I thoroughly loved reading it! Beth, I’m so proud of you for declaring a simple Christmas this year! I think I’m going to do the same. I will be using this printable though…so cute!